Turn left, passing the canoe lake on the left-hand side, along the Esplanade turning right after the bowling alley, and go right up to the Hover travel office. Turn right and follow the path around the Sea wall (1 mile), and head back past the canoe lake on the left-hand side. 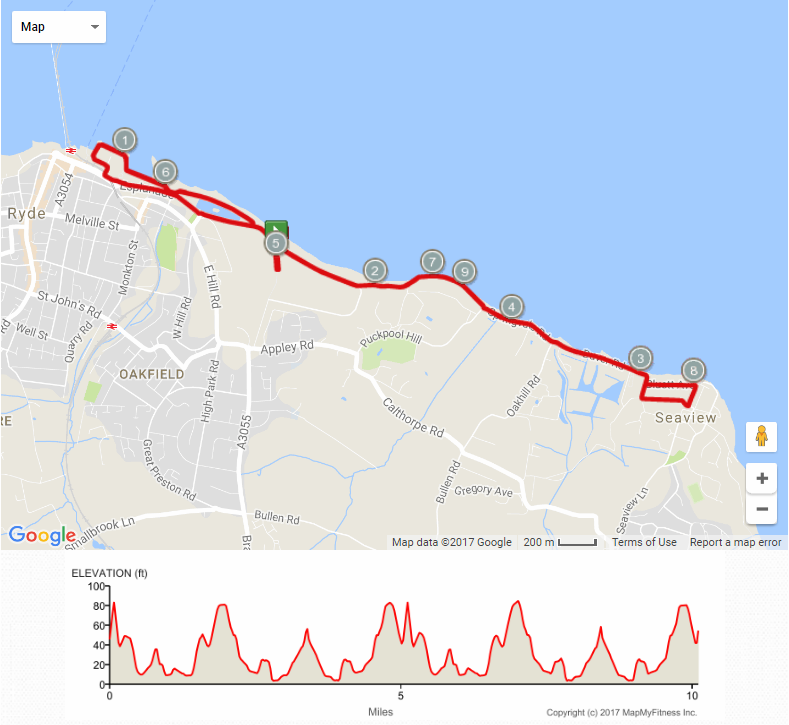 Continue along to Appley past the tower (2 mile), heading towards Seaview. Turn left at Three Buoys crossing the start line, repeat a second lap of the same route, finishing at the club.